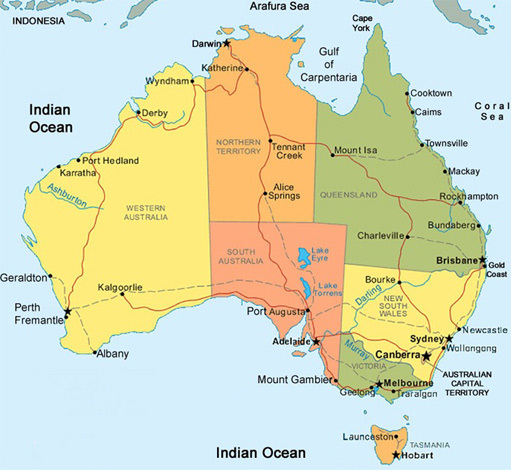 Australia is the world ’s smallest continent and the largest island. It is like nowhere else in the world. It has an area as big as mainland of the United States but has a population of only 20 million. It’s a friendly, young, adventurous and stylish nation that welcomes international students. The entire country has unique animals and a fabulous climate. The Australia Education system offers over 12,000 courses that are recognized internationally and are of world class standards. The tuition fees and living costs to study in Australia compare better than most other countries with quality tuition being more affordable than in the UK, USA or Canada, whilst offering a safe studying environment for international students, and a standard of living that is among the highest in the world. Australia has the third largest number of international students in the English-speaking world behind the USA and UK, but in many counties Australia is many students’ first choice for international study. The major reason why students choose to study in Australian universities is for its high quality of lifestyle and education. The Australian lifestyle will be hassle-free and more relaxed. This helps students to enhance their studies without any tension. Another reason for choosing Australia is for its cost efficiency. The education and living expenditure in Australia will be comparatively 40 to 60 percent less than that of USA/UK, varying with the location. Among various study courses, Indian students prefer technology and management programs and accountancy in addition to the management subject.